Three Things Your Blog Should Be Doing For You (Number Three May Surprise You) | Stamping Is My Business! Your blog should be optimized so it receives organic traffic through search engines and other sources. These search engine results should be driving enough people to your blog that you have at least one or two new mailing subscribers every day. If that’s not the case, there’s probably some SEO (search engine optimization) you should undertake, as well as look at how compelling your incentive is to get visitors to sign up for your mailing list. The point of having a blog is to generate REVENUE! If your blog isn’t contributing at least a few online sales per week to your business, you need to look, again, at how much organic traffic the blog is pulling in, as well as the composition of your blogs posts. Are you using the right calls to action? Are you wording them properly? So much recruiting is done through outbound marketing (you reaching out to other people), that many stamping business owners don’t realize their blog is a recruiting tool that should generate regular INBOUND recruiting requests. If you’re discussing the business opportunity on your blog properly, you should have at least one person per week reaching out to YOU to learn more about what it means to have their own stamping business. If you’re not getting these inbound requests, it probably has something to do with what you say about the business opportunity on your blog, and how often you say it. 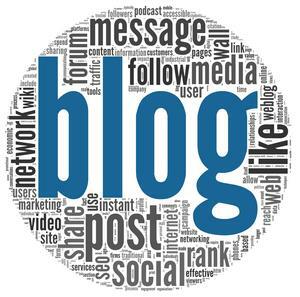 Remember… your blog should GROW your business. These are just three of the many ways that should happen. Of the three tips you present number three is the one that I have been working on with very little success. I have tried to reach out to former Creative Memories consultants but no bites. I will go after the other suggestions as well and hopefully that will bring more traffic my way!